Lineage presents three chairs and one chair. Each chair has the common components of the average chair: four legs, a seat, and a backrest. They are linked by similar design elements, variants of every chair from the history of chairs. Like all chairs, they share a common purpose: to provide a place to sit. Yet, each chair is recognizably different. 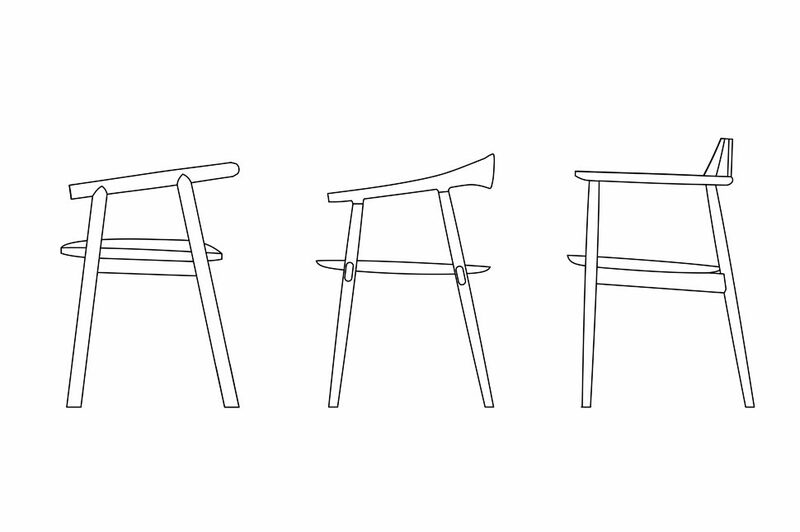 Each chair represents a different design path, an alternate choice made during the design process. Lineage asks the viewer to contemplate the way in which design relies on history and how that complicates the singularity of designed objects.